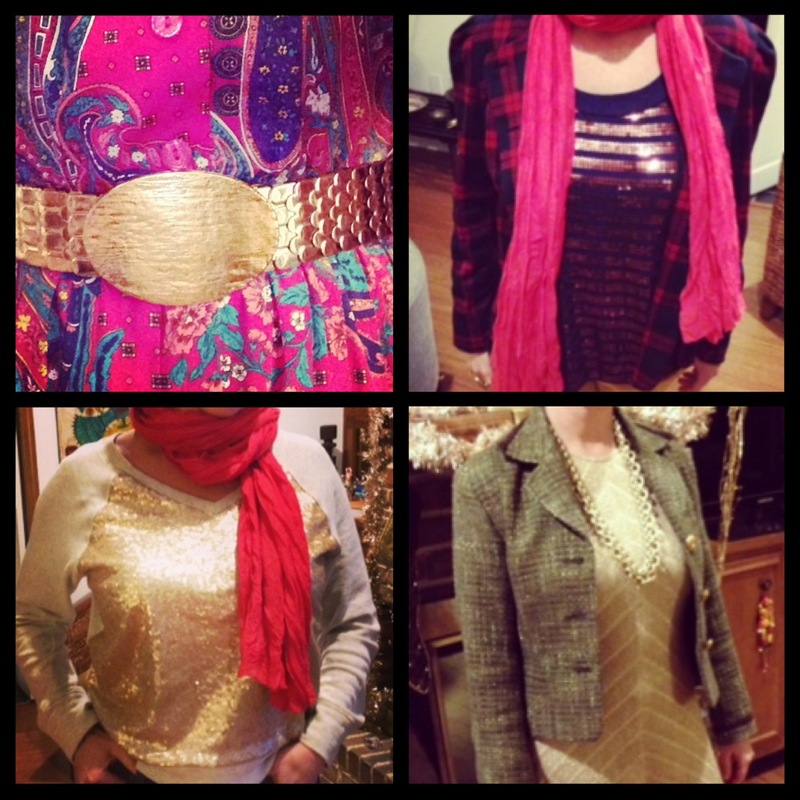 The first full week of bling was one golden bedazzled week! Monday started with the question “what bling do I wear when lunching with the CEO?”….the answer was a gold metal stretchy belt…Shazam!!!! Tuesday Blues brought a midnight blue tank covered in razzle dazzle. Wednesday was a golden hump day!!! Love mixing high and low on Thursday…here we go with a sweatshirt covered in sequins…brilliant combo platter from Target! TGIFB…Thank God It’s Friday Bling…rocked this vintage bracelet and my coveted Chanel filigree ring (Triple Heart). Saturday brought out my Gold Boots by Rustoleum…spray paint is magical!!! 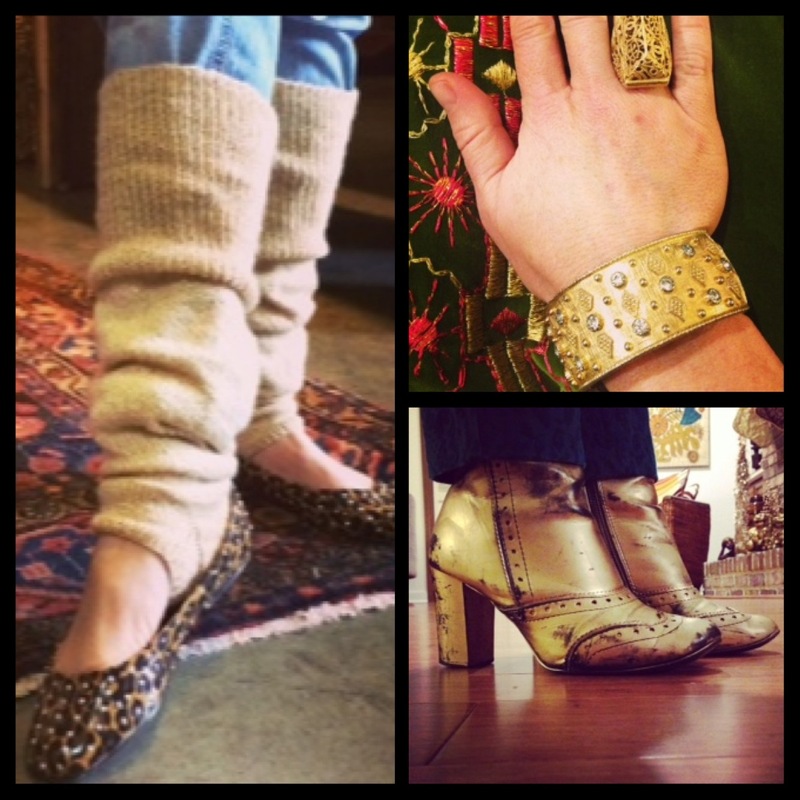 Ended the week with a flash back to Flashdance in my sparkly gold hand-made leg warmers…thanks mom.